The university is a recipient of federal grants and contracts in excess of $100,000 and is subject to the provisions of the Drug -Free Workplace Act of 1988, the special Drug-Free Workplace rules promulgated by the Department of Defense, and the Drug-Free Schools and Communities Act. The Board of Regents has directed the president to institute and maintaining programs that meet the requirements of the federal drug and alcohol regulations. These programs are administered through the Office of Human Resource Services. The unlawful possession, use, or distribution of illicit drugs and alcohol on its property or as part of any of its activities is prohibited and a violation of university policy. University is defined as all lands and buildings under the control of the Board of Regents. It is a federal requirement and a university policy that, as a condition of employment, an employee will notify the immediate supervisor within 5 days after conviction of a criminal drug offense occurring in the workplace. Supervisors will inform the Office of Human Resource Services, through appropriate channels, of any notifications received. Please see ARP 16.65 – Drug and Alcohol Free University Community for additional information. 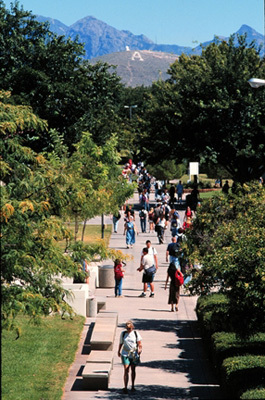 Read more about drug and alcohol screening for NMSU employment.